Instructions: Refer to (or develop) the critical medical info sheet containing P’s conditions, medications, allergies, physicians’ contact, etc.. 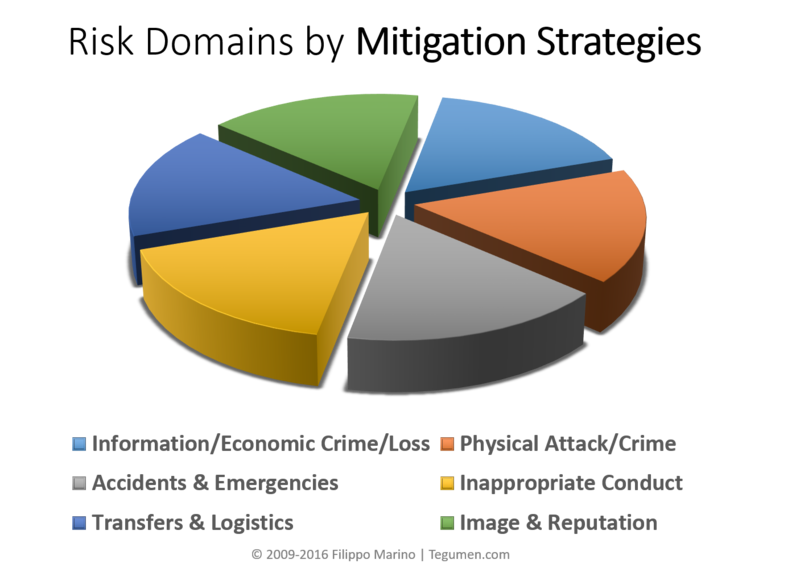 The risk categories below reflect and translate into the full-spectrum of traditional mitigation opportunities and strategies, ranging from close protection and medical support, to stage design and secure transportation. Rate each area on a scale from 1 to 5 (with 5 being Extremely High risk/vulnerability) to identify and plan for mitigation priorities. MVAs, medical emergencies, fire/earthquakes/etc., severe weather, structural failures, power failures, etc. Violent behavior (assault/battery), robbery, assassination attempt, kidnapping, etc. Stalking, activism/demonstration/disruption, altered-state approaches or hostile interlocutors, inappropriate/threatening communications, etc. Theft or loss of proprietary/confidential data, fraud, blackmail/extortion, doxing, etc. Disruptions to travel/transfer plans, strikes, public works, special events, weather, traffic, breakdowns, etc. Local team/resources, POC engagement and support quality/level, venue/event security, etc. Instructions: These are not ‘opportunities’ in the corporate lingo (i.e. areas in need of improvement) but actual value-adding conditions and resources, such as an existing security measure in place, an armored vehicle that could be borrowed from the local fleet, or a Level 1 trauma center next door. Direct and/or known threats to the individual, immediate circle, or the activity/event. Instructions: Highlight any active/received threats and/or anticipated actions (i.e. a planned demonstration, activist plans, etc.) against P., other participants, or the event. Venue/building strengths/vulnerabilities, weather and/or other natural hazards, distance from key/critical locations/resources, infrastructures quality, etc. Instructions: This section provides the space for highlights that could either enhance or hinder security, such as the high distance from EMS facilities, the absence of alternate routes, or an aging structure where the event will take place. A site & route advance survey will typically provide the backdrop for content herein. Other events/participants, duration, visibility, activities & events characteristics/flow, etc. Vehicles (cars, planes, helicopters, etc. ), communication (phones, radios, etc. ), mapping/GPS, protective (armoring, detection, etc. ), weapons, etc. Instructions: Anticipate availability/access challenges to critical technology, such as cell phones, Internet/data access, radios, GPS, etc.